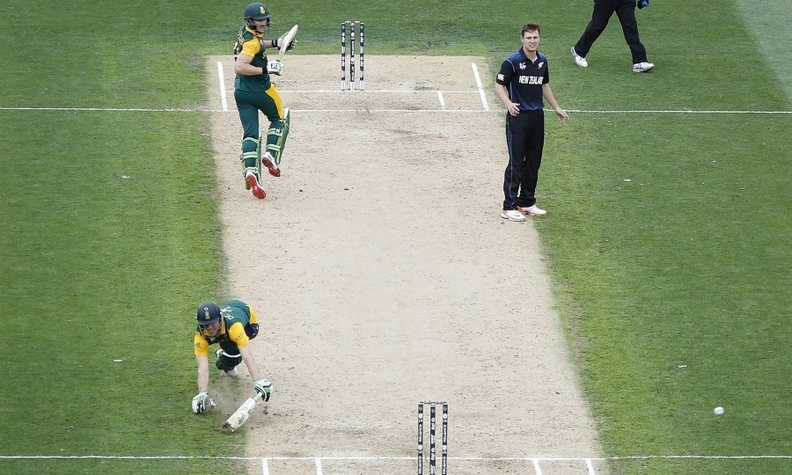 The Cricket World Cup this year reached an estimated global audience of 1.56 billion people. MUMBAI (Bloomberg) -- Nissan said it will sponsor the Cricket World Cup and some other international tournaments through 2023 as it seeks to attract fans of the sport and build its brand in countries where cricket is popular, particularly in India. Nissan is banking on the publicity from sponsoring the sport to boost its standing in India, where its market share of 1.4 percent lags far behind Maruti Suzuki India and Hyundai Motor Co., as well as build its brand in other countries including South Africa, Australia, Pakistan and Bangladesh. "India is a big market and will be a big growth market, so is critical for us," Roel de Vries, Nissan's global head of marketing and brand strategy, said in an interview in Mumbai. "We are a relatively young brand in India and so we need to build our presence in India, and also in Pakistan and Bangladesh." Nissan's sales have declined 24 percent in the nine months through September in India, while industrywide passenger-vehicles sales climbed 6.2 percent. Nissan has agreed on an eight-year deal with the International Cricket Council, the automaker said in Mumbai on Wednesday. The agreement also covers the Champions Trophy, World Twenty20 and women's cricket. The 2015 Cricket World Cup reached a broadcast audience of 1.56 billion people globally, according to the ICC. The most recent edition of the ICC Cricket World Cup, where teams from 14 countries competed, was held this year in Australia and New Zealand. Held every four years, the next competition will be hosted by England and Wales in 2019.